Smartalock has landed in Oz, with 4 successful jobs completed in last month or so. The first phase of 800+ lockers for Suncorp have been completed and installed. End users are operating via the Kiosks new self-service operating mode, allowing employees with a building badge (swipe card) to obtain, release or move lockers between locker banks without any interaction with the building concierge. A further 400+ locker system has also been commissioned for Australia's Department of Water and Agriculture. This system uses an innovative mixup of lockers sizes and finishes within the same locker bank. 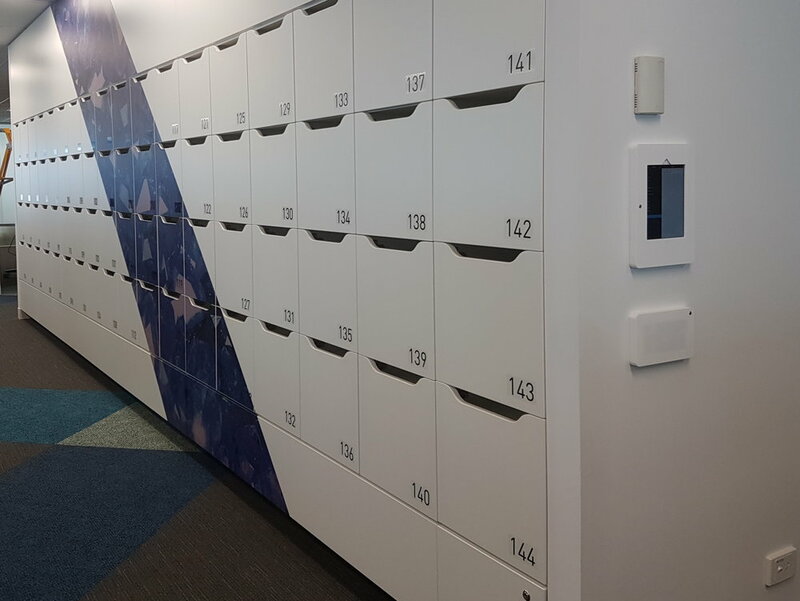 Were also pleased to finish off installations for SWIFT's new Sydney offices and continue deploying new locker systems for Xero, this time in Melbourne.